I can’t tell you how many people I’ve met who are continuously reading books, taking courses, studying their company literature and thinking about their business ALL the time, but they aren’t doing any MONEY GENERATING activities to grow their business. While I admire that they are doing something (even though they aren’t the right activities), most of these folks are only fooling themselves about their business. They think they need to know everything about the products, company and compensation plan BEFORE they go out and take action and build their business. Simply put, they are keeping themselves busy so they don’t have to do the activities they know they should be doing, but are scared to do. You can educate yourself until the cows come home, but if you don’t APPLY what you learn, you won’t build a profitable network marketing business. The truth of the matter is, you will only learn by doing. Until you go out and do the work, you will continue to fall into the vicious trap of getting ready to get ready. The best way to learn and to improve your skills is through APPLIED knowledge. We all know that theoretical knowledge is highly overrated. Until you take that knowledge and APPLY it, you will be busy going 180 mph, stuck in neutral. If you are making this common mistake in your MLM Business, I can offer a few suggestions. First and foremost, you will never know everything you need to know about how to build a business. Even if you study day and night for two years, there will still be lots of things you don’t know. And you will learn more from doing that you will from studying. So go out and talk to people, show the plan, and teach your team. Tweak things as you go and apply what you learn. My final tip is about FEAR. We all fear certain things. If you fear rejection or failure (the most common things people fear) I can offer you a simple solution. Here it is: the only way to cure fear is to take action. If you do what you are scared of, you will quickly overcome your fears. Make sure you spend AT LEAST 80% of your time doing one of these activities. So if you work your business 10 hours a week, make sure you spend 8 (or more) of those 10 hours on the activities mentioned above. In summary, the # 1 reason network marketers fail is because they spend most of their time “getting ready to get ready,” rather than taking action and doing the money generating activities. My best advice to you is “don’t fool yourself.” If you want to build a successful network marketing business, you have to spend MOST of your time doing the work: prospecting, showing the plan, following up and getting customers. Thinking about your business and educating yourself do not count. What are your thoughts? What do you think is the # 1 mistake in network marketing? Leave a comment and let us know. Getting a regular supply of MLM leads looking at your business is crucial. Most fail by not having worked out how best to expose their MLM business to as many people as possible. Using attraction marketing methods on your blog or website is a great way to do this. This way you are not chasing after prospects but rather they are coming to you. 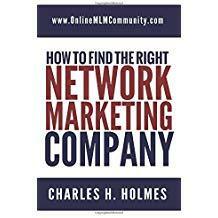 Become the hunted not the hunter is a much more effective way to approach the generation of MLM leads. This common mistake is an excellent example of the Bible verse that states “Faith without works is dead” (James 2:20). Not only in this industry, but also in life, if you prepare to do something without any intention of stepping out on what you have learned and be willing to make mistakes, then all of the preparation is worthless, because it is never applied. I agree with you 100% that action paralysis is the major reason why many network marketers tumble down in this industry. MLM professionals should understand the saying that Rome was not built in one day. So they should learn to implement whatever little MLM information they have acquired If ever they are to succed in this industry. The key to success is to roll up your sleeves, do the work and learn as you go! SO TRUE! I appreciate your gentle finger-pointing. The MLM company I was with was a home-party based business, and I let my fear keep me from really going after bookings. I wasn’t very good at parties, and decided to ignore the fact that practice makes perfect, due to my fear of rejection. Maybe you can give it one more shot and try to overcome your fear.